Two civilians are killed in a grenade blast triggered by ULFA (I) in Dimow of Sivasagar district on November 22 at approx 5 PM. 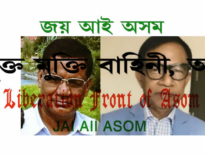 The incident happened in a hardware store at Dimow, owned by Kamal Agarwal who was the target of the ULFA (I). At the time of the blast, Kamal Agarwal and one customer named Anup Gupta got serious injury and died on the way to the hospital. 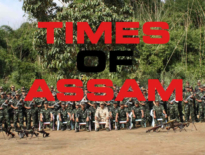 Locals said that deceased Kamal Agarwal and his family was targeted by ULFA (I) for ransom and their shop was attacked by the outfit with grenade three years back. The grenade blast followed up Sivasagar police’s strict operation in search of few ULFA (I) cadres, indicating a passage trick by the outfit. Police was conducting a strict operation against ULFA (I) sleeper cell and overground helper of the outfit since the 21st November. Police, in the search operation, nabbed several ULFA (I) linkmen and overground workers in charge of helping unlawful activities. As per local sources, ULFA (I) cadre Adyamaan Asom is leading a group in charge of extortion drive in the Sivasagar district. Majani Das, once a Higher Secondary subject teacher, is also accompanying Adyamaan in the extortion drive. ADGP(North-East region) of Assam Police, R P Meena(IPS) rushed to the site with bomb specialists to investigate the grenade attack incident. Assam Chief Minister Sarbananda Sonowal condemned the grenade blast terming it is a cowardly act. He also asked the DG of Assam Police to take strong action as possible.